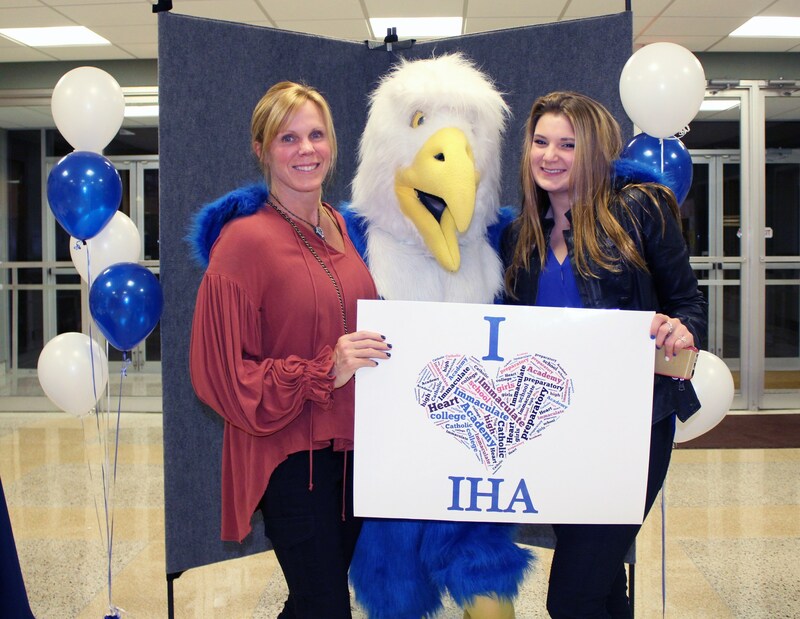 During the academic year, the Immaculate Heart Academy Admissions Office hosts several events to give prospective students and their families an opportunity to learn more about IHA. 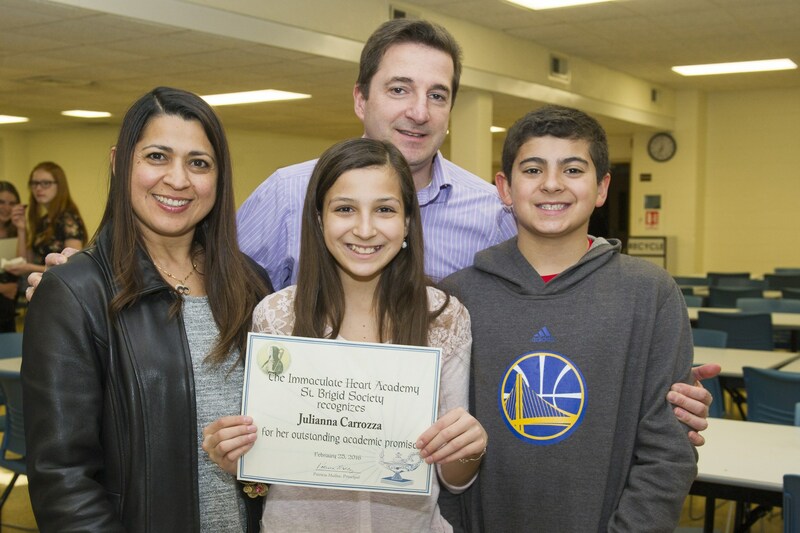 You can also find IHA represented at many regional admissions events that are sponsored by grammar schools, parishes, and the Archdiocese of Newark. Blue Eagle for the Day: Begins Tuesday, Sept. 25, 2018 from 9 a.m.-1 p.m. Click here to register for a visitation day. Parent Information Session: Friday, Oct. 5, 2018 from 9-10 a.m. Click here to register. STEM Information Night: Tuesday, Oct. 9, 2018 from 7-8 p.m. Click here to register. Open House: Sunday, Oct. 14, 2018 from 11 a.m.-2 p.m. Click here to register. Evening Open House: Thursday, Oct. 25, 2018 from 6:30-8:30 p.m. Click here to register. STEM Information Night: Tuesday, Nov. 6, 2018 from 7-8 p.m. Click here to register. HSPT for COOP: Friday, Nov. 9, 2018 Register online for the HSPT here. HSPT for COOP Make-up Exam: Saturday, Nov. 17, 2018 - IHA is not a test site for the make-up exam. E-mail Acceptance: Friday, Jan. 11, 2019 after 3 p.m. Accepted Students Reception: Wednesday, Jan. 26, 2019 at 6:30 p.m.
Make Up Registration Day: Thursday, March 7 at 7:00 p.m.
Spring Open House: Wednesday, May 1, 2019 from 6:30-8:30 p.m. Click here to register. 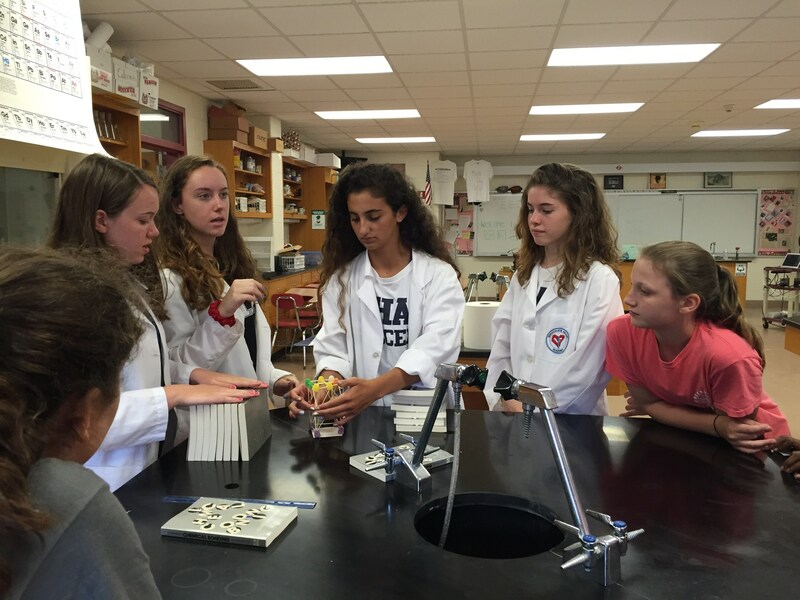 Rookie Camp for Class of 2023: June 18, 19, and 20, 2019 from 4-7 p.m.
IHA hosts one Open House in mid-October, a smaller scale Open House later in the fall, and a Spring Open House. 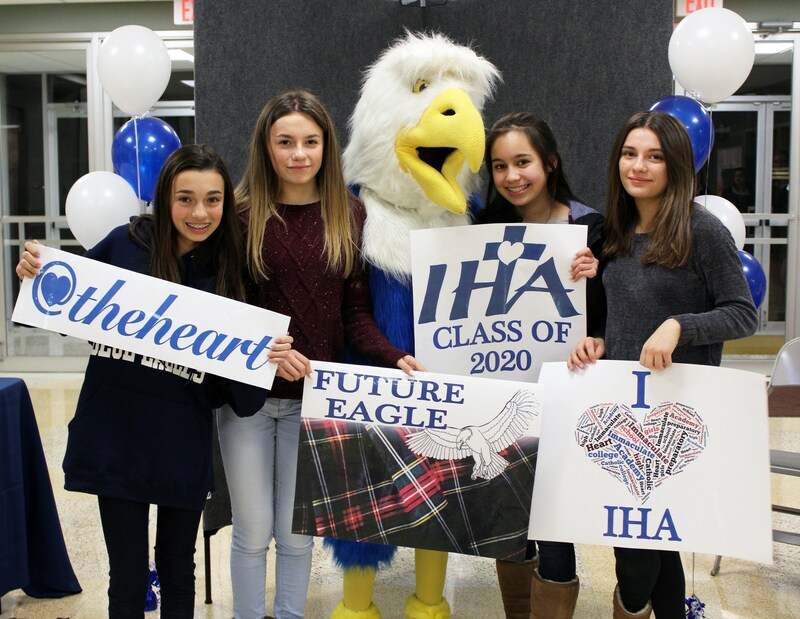 All events will offer you an opportunity to tour the building with our Eagle Ambassadors; learn about IHA's college prep curriculum; meet students, teachers, staff, and coaches; and witness first-hand the spirit in our community. Click here to register for the 2019 Spring Open House. 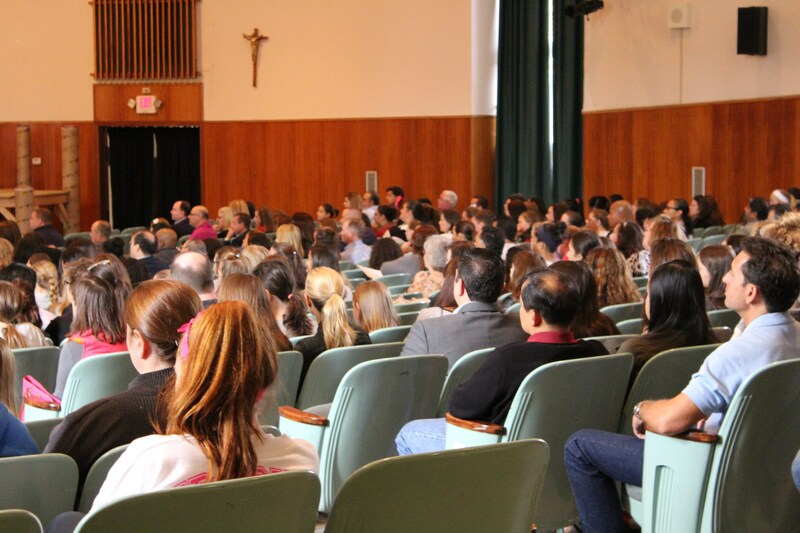 During the academic year, IHA can be found at various High School Information sessions that are sponsored by parishes, schools, and the Archdiocese of Newark. Members of the admissions team also make visits to local grammar schools during the academic day to speak to students about IHA and the high school admissions process. The 2019 Registration Day will be February 2, 2019. Acceptance letters tell prospective students which session to attend. ATTENTION: Please print out the Health Registration Forms to bring with you on Registration Day. Rookie Camp is an optional three-day mini-orientation in June of each year for incoming freshmen designed to acclimate our new Blue Eagles to IHA's academic, social, and extracurricular experiences. Each day focuses on one of these three themes, addressing common concerns and questions of incoming freshmen. Rookie Camp is a great opportunity to meet new classmates and make some new friends before beginning at IHA in the fall! Rookie Camp 2019 - June 18, 19, and 20, 4-7 p.m.
* Please note as part of the program, we do serve snacks. If anyone has a food allergy, it is best she brings her own snack and notify us at the bottom of the registration form. For more information about Rookie Camp 2019, contact Ms. Donoghue at edonoghue@ihanj.com or Mrs. O'Sullivan at mosullivan@ihanj.com.